community to raise awareness for foster care adoption and finding forever families for children waiting to be adopted in Louisiana. 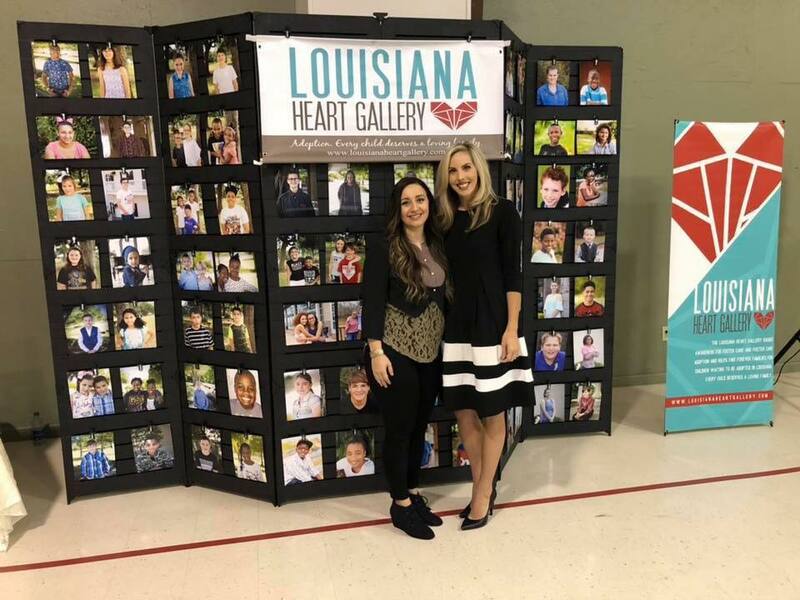 There are 4,787 children in foster care in Louisiana; 350 of these children are waiting for adoptive families and 145 are without an identified family to adopt them. 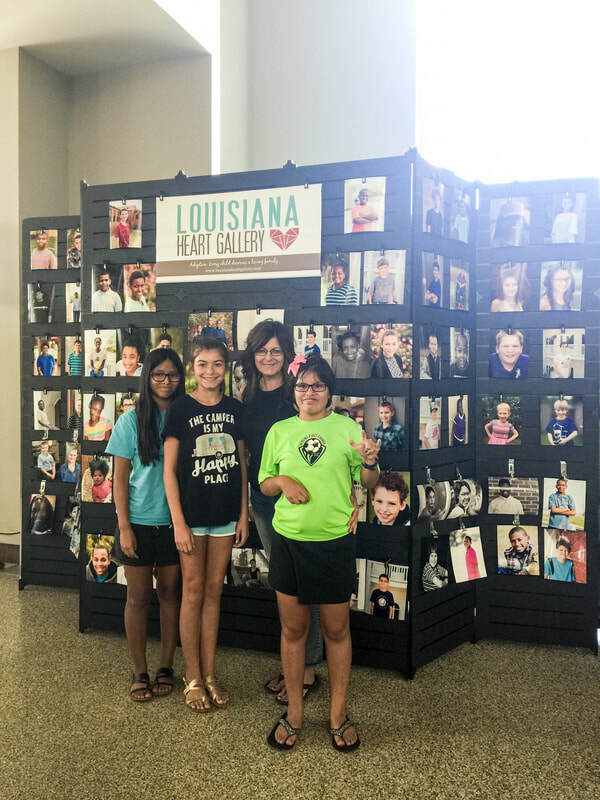 Louisiana Heart Gallery’s website and traveling exhibit throughout Louisiana has helped the increase of adoptions for these children. We believe all children deserve a loving family to call their own. 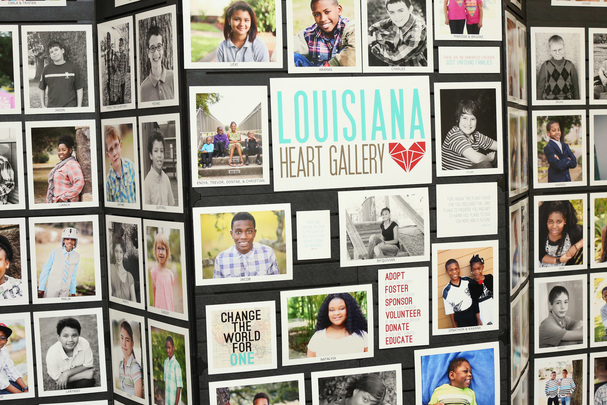 Louisiana Heart Gallery displaying at the Louisiana Adoption Exchange State DCFS office in Baton Rouge. Human Trafficking Founder Laura Domingue, and La Family Forum's Blanche Mills.